Coordinator: Welcome and thank you for standing by. At this time all participants are in a listen only mode. After today’s presentation you will have the opportunity to ask questions and at that time you may press star then one on your phone keypad to ask a question. I would now like to turn the call over to our host for today, Miss Nikki Grimsley. As a reminder today’s conference call is being recorded. If you have any objections, please disconnect now. Miss Grimsley, you may begin. Nikki Grimsley: Thank you, Brad. Good afternoon, everyone. I am Nikki Grimsley with the Clinician Outreach and Communication Activity or COCA with the Division of Emergency Operations at the Centers for Disease Control and Prevention. We are delighted to welcome you to today’s webinar Advancing the One Health Concept through Collaborations that Connect, Create, and Educate. COCA is excited to offer this call in partnership with the American College of Veterinary Preventive Medicine. We are pleased to have with us today Dr. Cheryl Stroud. You may participate in today’s presentation by audio, via webinar, or you may download the slides if you are unable to access the webinar. The Power Point slide set and the webinar link can be found on our COCA web page at emergency.cdc.gov/coca. Free continuing education is offered for this COCA call. Instructions on how to earn continuing education will be provided at the end of this call. CDC, our planners, presenter, and their spouses and partners wish to disclose they have no financial interests or other relationships with the manufacturers of commercial products, suppliers of commercial services or commercial supporters. Planners have reviewed content to ensure there is no bias. This presentation will not include any discussion of the unlabeled use of a product or a product under investigational use. At the end of the presentation you will have the opportunity to ask a question to the presenter. You may press Star 1 on the phone to put yourself in the queue for questions or you may submit questions through the webinar system at any time during the presentation by selecting the Q&A tab at the top of the webinar screen and typing in your question. At the conclusion of today’s session, you will be able to describe the disciplines that are included in One Health, define the challenges to instituting a One Health approach, identify the major global One Health leader organizations and groups, and discuss how the One Health Commission is working to connect stakeholders to create One Health action teams that educate about One Health and the issues surrounding it. Our presenter today is Dr. Cheryl Stroud. Dr. Stroud has both veterinary and basic research backgrounds holding both a DVM and a PhD in basic endocrine physiology with professional experiences in industry, academic research and training, private veterinary practice, and One Health leadership. Her primary focus is educating locally, nationally, and internationally about One Health. Dr. Stroud believes strongly in the value of interdisciplinary collaborations. Her forte is bringing together people across disciplines. At this time we welcome Dr. Stroud. Dr. Stroud, please go ahead. Cheryl Stroud: Hi. Thank you very much, Nikki. It’s a real privilege and honor to be able to address this group in the COCA Call System and I thank the ACVPM for helping with the invitation and making this event possible. I hope to – if you could go to the next slide please, Nikki. And since I can’t really see the system, we’re going to have to go a little bit by faith here. So, what I’d like to do is give you a very – for some of you I know you’re possibly not terribly familiar with One Health so if there are any of you clinicians who have tuned in to find out what this is all about, I hope we will answer some of those questions. I’ll give you a very brief historic overview, some updates on One Health around the world, and why it really matters to all of us. Next slide, Nikki. One point that I would really like for you to walk away from this presentation with is that collaborations start with relationships. They don’t just magically form and those relationships don’t just magically happen. They start when we are able to come together in direct conversations. Next slide, Nikki. So we’re looking at two concentric circles here. We tend to have a tendency to think of we humans as the center of everything. The earth is the center of the universe and we’re the most important species when really and truly we are just part of an ecological continuum. I love this quote by Ann Druyan (who happens to be Carl Sagan’s wife) in that we all have this – we as humans have this eager need to make, to think that we are the center of the universe. Next slide, Nikki. We have a lot of ability as humans to have a very negative impact on our planet. From these slides you can tell that we’re definitely on an unsustainable pathway here. We cannot sustain the way we’re going now and that’s part of what we’ll talk about today is kind of reframing our attitude of our place on earth. Next slide, Nikki. So just what is this whole One Health concept all about? Some of you may find it new, some of you on the call are here just because you want to hear what is going on in the One Health world. It’s not a new concept. It’s a very old concept, but it is a new professional imperative. Next slide. The scope of One Health involves so many disciplines and we really need to include them all from anthropology and agriculture to genetic disease and infectious diseases, the human animal bond, professional education — I won’t read all of these for you — comparative medicine, food and water safety, disease surveillance, clinical medicine and the need for interrelationships between our professions, environmental contaminants, biodiversity, disaster preparedness, public policy. Next slide, Nikki. One point that I’d really like for us all to walk away with is that One Health is actually a pathway to planetary health and to global security. It’s something we don’t talk about often enough that providing healthy populations – our unhealthy populations can undermine the stability of governments around the world. So it really can be a path not only to planetary health but to global security. Next slide, Nikki. I like this slide because it’s taken at night and you can see the areas of dense population around the world. Our population right now is somewhere around 7.2 billion. Of course you’ve all heard the statistic — the projected statistic – that we’ll hit 9 billion by 2050. Actually the World Bank I think is saying now that we’ll hit that by 2042. Next slide, Nikki. But when you look at that map and you realize how we’re going to have to feed this world it puts a whole new slant on the idea of food security. And I meant to use the slide that had food and water security because I’m quite concerned that we’ll be dealing with water insecurity as some countries already are and I hope that we don’t end up fighting wars over water. Next slide, Nikki. So infectious disease is a large part of the One Health conversation but it’s not the only part so I’d like to give you some quick overviews of the many arenas under the purview of One Health. For example, the infectious disease, zoonotic disease, salmonellosis, which is quite common in chickens. I’d just like to point out one thing that we can do as clinicians especially as human clinicians is to be always asking the questions of your patients, “Did you have exposure to backyard chickens or to small turtles?” and I’m sure most of us already do that. But you’ll just notice—next, slide, Nikki—from this slide that is from the CDC that the incidence of salmonellosis is by far highest in our very young children so we have to be paying very close attention to that. Next slide, Nikki. Another aspect of One Health is the human animal bond. I don’t know if you guys can see—I love the one with the antidepressant with all the puppies all piling on. I don’t know if you can see the slide at the bottom –if you can read the bottom middle slide where it says, “Warning: Tick infested area”? If our pets go into those grasses and pick up ticks or fleas and then get in our beds with us, we’re sharing our environment and our pets in a very intimate way and they can actually bring ticks into our environment that could expose us to zoonotic diseases. Next slide, Nikki. Of course, the human animal bond and our human animal interactions are not often our smartest behaviors but we are very aware that pets can promote public health, that owning pets and the interactions with animals can be very positive for our mental well-being and for obesity prevention. You’ve probably all heard the program Walk a Hound, Lose a Pound. Next slide, Nikki. And there’s actually a term now called nature deficit disorder that is being used for some of our children who just don’t get any access to being in the great outdoors and being exposed to nature. And we’re actually starting to see the use of ecotherapy, getting people out into nature to treat depression. Next slide. And whether it’s a companion animal or a food animal, these human animal interactions and bondings are very strong. Some of you will remember back in the early 2000s when the foot and mouth disease crisis hit in the U.K. and so many herds of food animals had to be destroyed and we had farmers committing suicide because some of them had spent their lives breeding up special lines of their animals and were very attached to them. So these are very powerful connections. Next slide. It’s also a part of the human animal interaction is the fact that animal abuse can be linked to domestic violence. There is actually an organization called the National Link Coalition that tries to focus attention on the fact that if a veterinarian sees an instance of animal abuse that the people in those environments may also be at risk. Next slide. Some states actually have mandatory reporting of whether you’re a clinic, animal clinic, clinician reporting any aspects of animal abuse and so we would find that being able as veterinarians to help people that we might suspect being in a similar situation as the animal might be seeing that looks to be abused or neglected, trying to help those people connect with services that could help them with their situation. Next slide. Also under the One Health umbrella is the climate change and environmental contaminants. You probably have heard in the news that our bees around the world are very threatened and in some countries they’re actually having to hand pollinate crops. And the next slide, please. And the Monarch butterflies are having a difficult time because of climate change and loss of habitat and also because of insecticides and the environment. Next slide. Animals can be sentinels for what we’re being exposed to in our environment. You know that there was a – this lead water crisis in Flint this year and actually they were testing dogs in that environment to see if they could find evidence for lead poisoning. And in some cases they did. This is a picture of veterinary students and veterinary technicians taking the samples from dogs and some of the dogs in that environment were actually – could be sentinels and we should pay attention to the opportunity to use animals as sentinels in some of our public health situations. Next slide. It’s become apparent that cats might have been a sentinel for some endocrine disrupters in our environment such as flame retardants such as polybrominated diphenyl ethers, the PBDEs. When I finished veterinary school in the early ‘80s, I wasn’t taught anything about hyperthyroid cats. We started diagnosing those in the veterinary world in the late ‘80s, and it turns out that somebody noticed that that’s when flame retardants were introduced into so many of our upholsteries and carpets and the hard plastics of our computers. It turns out there actually had been studies to show a very high correlation of when that was introduced into the environment and when we started diagnosing cats with hyperthyroidism because it is such a powerful endocrine disrupter. Next slide. There have been studies, Heather Stapleton at Duke has also studied this in young children and has found fairly high levels of this in young children. It is being postulated now that because these are endocrine disruptors that they could actually be contributing to our obesity epidemic and crisis in this country especially in young people. Next slide. Though it’s even been postulated that some of the antibiotics and the antibiotic residues in our environment could be contributing to obesity in people. And next slide, Nikki. So I love this graphic of from where we go from, you know, skinny to some other obesity situation today. There could be links to this in our environment so these are some pretty real instances of our intersection. Next slide, Nikki. There was actually even in the National Academies who does all these workshops on topics of great concern. They did a workshop on the interplay between environmental chemical exposures and obesity. Next slide, Nikki. Another very large part of the One Health conversation is comparative medicine in translational research. For example the glioblastoma, the brain tumor, is exactly the same in humans and animals and so there are foundations that are trying to point out that if we could find these naturally occurring tumors in dogs, cats, or other companion or other animals and study them, and the animals who have a much shorter life span and are much more easily performed research on that we could learn a lot for both the humans and the animals. And then there are the organizations if you’ll notice the dog – the brown dog on the top right, that’s Ohlin who’s being trained to sniff out ovarian cancer. There are dogs being trained to sniff out cancers. Not that we would take dogs into clinical settings to sniff out cancers but that if we can figure out what the aromatized compounds are that the dogs are able to pick up with their incredible sense of smell, that we might could then create technology to detect especially things like ovarian cancer which are so difficult to find early. Next slide. Osteosarcoma that turns out – the progenitor cells of osteosarcomas are exactly identical in dogs and people and people like Will Eward and others are studying these cells and how we can turn canine clinical trials to advance cancer therapies. Next slide. In fact scientists have tested nanoparticle drug delivery in dogs with osteosarcoma and a lot of people believe that dogs actually make a lot better research models for things that are going to be applied to humans than the mouse or the rat. So that’s another area where we’re needing to closely work together across disciplines. Next slide. Pet dogs have been used to test all sorts of drugs. This happens to be anti-aging drug. Again, I’m pointing out that we’re starting to realize that dogs can be a great research model. There was even another one of those National Academies’ workshops on the role, clinical studies, for pets with naturally occurring tumors in translational cancer research. Next slide. And within the NIH there’s actually the comparative oncology program which has set up comparative oncology trials all around the country to do just that – to work across the disciplines and try to translate information from human to animal domains and vice versa. Next slide. And then there’s Dr. Barbara Natterson-Horwitz and her co-author Catherine Bowers and their Zoobiquity initiative where they have been trying – Barbara has written this book to educate her colleagues, her medical colleagues, that we have a lot of commonality in disease processes across the human and animal domain. She was shocked to realize that some MDs don’t realize that cats and dogs get diabetes and a lot of the same maladies that we deal with in the human world. So she wrote the book and has been running these conferences now for a number of years to bring that information to the human domain. Next slide, Nikki. We’ve taken information from the human man domain and applied it to the animal domain for years. It hasn’t gone so much the other way which this is one of the things that we’re trying to open the conversation for so that we can get the information flowing both ways. So this happens to be an application of prostheses though that we probably learned the technology first in humans and then applied it to animals. Next slide. Vector borne diseases are another very large and important part of the One Health conversation. It’s right there at the intersection of the environment, the zoonotic disease, the humans, the animals. Some of these diseases have to vector with an insect but they can go through an animal and often end up in the people. So things like anaplasmosis, babesiosis, bartonellosis, berylliosis which often is referred to as Lyme disease. Leishmaniasis which I think is one of our neglected diseases. I think it’s a very dangerous disease carried by sand flies. The Rocky Mountain Spotted Fever – you probably are all very familiar with these. I don’t pretend to be an entomologist or a specialist on all the different kinds of insects, but I do know that we need to be talking to each other across our disciplines to deal with these diseases. I like to teach One Health with stories about – that really kind of bring home the message of why it’s important, even why what the economic value is of having this One Health conversation and interactions. So this is a story that actually was published in “Veterinary Medicine” and “Mind Over Miller.” Some of you may be familiar with Robert Miller who is a veterinary cartoonist and column writer, has a lot of insights. This is a story he wrote about his daughter. This is not a picture of his daughter. It’s just an anonymous image. Next slide. So she was a journalist and she went to Ecuador to do some of her journalism and writing, and two weeks after returning home she had swollen joints and fever, skin lesions and discolored fingernails and shortness of breath. On radiograph she had lung lesions. They also detected granulomatous visceral lesions. Next slide. Her dad was at a veterinary meeting and was telling some of his colleagues what was going on with his daughter and they told him that she probably had a vector-borne disease and should take some doxycycline or she had a parasite and should take some ivermectin. But in the process he learned about Dr. Ed Breitschwerdt’s work studying the vector-borne disease lab at NC State. Long story short this young woman saw over a period of two years saw 76 specialists, had ten CT scans and received a whole bunch of diagnoses. The most concerning was the gastrointestinal stromal tumors. So they talked her doctors into sending some blood samples to Dr. Breitschwerdt’s lab because they just – and this had been going on for two years and she had been suffering and they were about to take her to surgery to, you know, do an exploratory surgery to find out what was going on. At this point I usually ask people if they have any idea of what it was they found. And if you know Dr. Breitschwerdt you’ll probably get this very quickly but if you don’t know Dr. Breitschwerdt and his work then you may not get this one. So the next slide, please. They found bartonella in this young woman and it’s a disease, a zoonotic disease, and it is required to pass through a vector. Many of them pass through fleas. I’m not sure exactly what the specific vector is for the vinsonii probably some kind of a tick – it’s often – she could have been exposed to but she had a lot of bug bites when she came back. So when, next slide Nikki, so when they went to surgery the surgeon came out after the surgery and said they didn’t find any evidence of malignancy and her dad answers, “Well, I never thought she had a malignancy. I believe she has bartonellosis.” And the surgeon said, “Well I’m a surgeon. I don’t know what bartonellosis is.” And so it just – this story points out our incredible need for having ways to share information across all of the different facets of our professions in both the human and the animal side. So the question here is how much money and suffering could have been saved for this young woman had her radiologist very early on been linked into the literature that would make him aware that this organism could cause these kinds of lesions. So that’s just one story, one illustration, of how we need to be sharing information across disciplines. And next slide, Nikki. Another one of the vector-borne diseases that we’re needing to learn more about and share information across our disciplines is the Powassan virus which I don’t know a whole lot about yet. But you can see that we’re starting to identify it in more and more states. Next slide, Nikki. The antimicrobial resistance question is a quintessential One Health issue. Dr. Laura Kahn has written – has spent five years researching and writing this book “One Health and the Politics of Antimicrobial Resistance.” If you guys are interested, we did host a couple of webinars where she was talking about her findings for this book and you’ll find them on the One Health Commission website in the library under webinars. So Dr. Kahn believes very strongly that we need to kind of rethink how we’re approaching this, quit pointing fingers across the human and animal sectors. She does not believe that – and that agriculture is a main culprit and driving antimicrobial resistance. One of the largest things that came out of research was an awareness of the environmental impacts of antimicrobial resistance. Next slide, Nikki. So we’re just starting to realize that antimicrobial, antibiotic resistance is having a huge impact in our soil microbiome. It’s impacting our plants. It’s changing our gut flora. We’re finding antimicrobial resistant organisms in our marine mammals who have never been given antibiotics. One of the things that Dr. Kahn points out is that in 2016 there are still very large numbers of countries and humans that are open defecating and those are often the same countries that are using antibiotics that they get over the counter with no medical oversight. And all of that’s getting washed out into our oceans so that we’re affecting our oceanic eco environment. Next slide. One – another area of the One Health conversation is disaster preparedness. So this is just an international disaster database that you might be interested in. Next slide. One major lesson that we learned with Katrina was you don’t show up with animal carriers because there were so many people who would not leave their homes if their animals could not go with them. So this is another of the arenas that we need to pay attention to and are paying attention to now because now we make arrangements. We’re starting at least in this country to make arrangements for getting the animals out too. Next slide, Nikki. So there is a question in that vein of thought is animal relief humanitarian relief? So the question comes up if we go in and help save the people but don’t save the animals, in many countries that animal is their livelihood and there’s nothing for them to go back to if you don’t invest to the animals too. So in many instances the animal relief is humanitarian relief. Next slide. So all professions are needed for us to make One Health the default way of doing business and that’s at all levels of research and clinical practice and government and policy. To everything from agriculturists, to wildlife specialists, anthropologists, plant pathologists, social scientists — especially the social scientists and behaviorists – the engineers and entomologists would all need to find ways to come together. Next slide. Because we’ve gotten so entrenched in our silos. If you think about it, very, very early on in early, early history a healer was a healer and healed, you know, whatever came along that needed healing and then we got so specialized with developing incredible technological ability to study this amino acid and this strand of DNA and we’ve kind of lost the awareness and willingness and ability to reach across our silos and stay in touch with the larger picture. That’s one of our system’s challenges. Next slide, Nikki. We have so many challenges for this – for making this One Health – the One Health movement or One Health concept, the default way of doing business. Our academic tenure process don’t encourage transdisciplinary work. If you don’t publish in the most elite journal, you might not be able to get tenure as easily. Our government agencies are very much in silos and don’t communicate very easily across those silos and industry and private industry and research – there’s proprietary knowledge and, you know, there’s not a real willingness to share information. Our environmental resources harvesting systems are detrimental and destructive. Some of our agricultural technology is destructive and here’s the publication’s system. This is one of the largest challenges for us having – for us really doing this One Health – the One Health concept. We have no access to each other’s literature. If you think about it, the professional associations usually publish the journals and if you don’t go onto that professional association you don’t have access to those – to that literature. So there are – we are starting to have some open access publications that’s going to help us a lot but we have a long, a long way to go. And finally there are language barriers across our professions. We all have our acronyms — and believe it or not — especially among the older generation it can be a little intimidating to our colleagues and other disciplines because they might say something that we don’t understand and we might look stupid because we don’t know that acronym. Next slide. So it’s a real wakeup call for us to realize that we need a way to communicate and learn across disciplines. Next slide. So here’s a real quick historic overview. The Wildlife Conservation Society started holding One Health meetings back in 2004 and in 2007 the AZMA and AMA partnered in a One Health Initiative Task Force and in 2008 the FAO, OIE, WHO and UNICEF and the World Bank all have worked together to develop joint pandemic flu response plans. And what they were starting to realize – oh my gosh we really need to put these relationships in place ahead of time before a crisis because a crisis or a medical emergency are a disaster – it’s a really bad time to start exchanging business cards for your colleagues that you need to be working with across disciplines and especially across government and policy offices. Next slide. In 2008 the – a group of individuals stood up and started – stood up a website known as the One Health Initiative and started disseminating grassroots One Health information. We owe a huge debt of gratitude to this group because they have done an enormous amount to help make the whole world aware of this concept and the significance and significant impact that it can have. Next slide. I’m on the slide now that says 2009 at the top. In 2009 the One Health office was established in CDC, and USAID started this emerging pandemic threats program and the – there was – there started being more meetings around the world for One Health and the Commission was charted as a 501C3, the One Health Commission was charted in 2009. The next slide, Nikki, skip on down to the next slide with the executive summary of the One Health Commission. That same year in 2009 that the One Health Commission was stood up, there was a joint meeting with the National Academies of Science in Washington, D.C. on this whole One Health concept and it was a pretty exciting time to realize that that was some of the early bringing of this whole One Health concept to Washington, D.C. and starting to work it into the lawmaker’s consciousness. Next slide, Nikki. In 2010 there was tripartite it’s referred to as a tripartite One Health note that was signed and brought forward by the OIE and FAO and WHO. Next slide. I’ve got to go quickly through these on history. Two thousand and eleven was the first International One Health Congress in Melbourne. Twenty twelve the USDA established a One Health office, 2013 the second International One Health Congress was held in conjunction with the Prince Mahidol Conference in Bangkok, Thailand. Next slide. Twenty fourteen the International One Health Research Symposium was held in China. Twenty fifteen was the third International One Health Congress in the Netherlands and the World Medical Association/World Veterinary Association had a joint meeting and they’re going to be having another one of those. If you can go to the next slide, Nikki. You’ll see that this year in fact in just a week or so in December 3 through 7 is the Fourth International One Health Congress. One Health Eco Health is again in Melbourne again. And that this year they have just completed a few days ago the second World Veterinary Association World Medical Association Joint One Health Congress in Japan. Next slide. In 2015 the International One Health platform was stood up. This was a very research oriented group that saw a need for oversight for some of these international congresses and so now they’re planning them going forward and they’ve also created and opened with Elseviera a One Health Journal that is open to publication of all arenas of One Health. So what can we do? Next slide, Nikki. We all see the need for this. We just don’t always know what to do about it; that’s a real challenge for us and this is where I hope you’ll get some take home ideas. Next slide, Nikki. One of the things we saw and a huge need to begin with was to help us identify who’s doing what for One Health all around the world. You’ll see this map down on the bottom left again later that happens to be one of the maps of all the events for One Health Day. So we have a Who’s Who and One Health page on the One Health Commission website and we’d love for you to help us keep populating that. We hope for our map on the right to eventually evolve into the map like the one on the left. Next slide, Nikki. We have a large listserv as do some of the other One Health groups. We’d love for you to get on this listserv. You can do that under resources, join the Global One Health Committee listserv. We’re now sharing One Health Happenings news notes with everybody on the listserv and those are getting circulated around the world. They help get some of the happenings and job opportunities that are going on in the One Health community out there. Next slide. In 2014 we did the First International Who’s Who in One Health webinar and it was pretty amazing. Over a thousand people from over 40 countries tuned in for that webinar which happened to run for almost ten hours. I was amazed how many people stayed with us for the whole time. If you would like to you can go listen to the recordings if you’d really like to learn more about what what’s going on around the world for One Health. You can go and look at the recordings there. You’ll find it under Events and then just before this year we had the Second International Who’s Who in One Health as an additional contribution to One Health Day and so that was also very enlightening to see what’s going on in and during a lot of countries around the world. And we certainly haven’t hit everybody yet. We’ll have to keep doing this for quite a while because there’s so much going on around the world. Next slide, Nikki. So I just grabbed a lot of the others that are associated with groups advocating and working for One Health. This is just a handful of them. It’s just the ones I could grab very quickly so I’m trying to give you the impression here that this has really caught on around the world. Next slide, Nikki. The One Health Commission is identifying areas that need some action and then trying to create One Health action teams to address those things. These are volunteers who have some passion for an arena that they would like to help do something about. Just one example of one of those action teams is our bat rabies education team. The Commission had partnered back in 2012, 2013 with a Global Alliance for Rabies Control and Bat Conservation International and created these posters because we realized at least in the Americas where bats are a harbinger of rabies, that nobody was educating children and parents not to touch a bat or if they had an exposure to a bat to let some health professional know about it. So I could give you story after story of people who had incident, an encounter or an exposure to a bat and who didn’t realize that they should take precautions because they didn’t know that bats could carry rabies. So this team is now trying to get these posters in front of children and parents all around the country, and I would love for anybody who’d like to be involved to help us do that. Next slide, Nikki. Some of you are aware that back in early 2015 that Senator Al Franken and other senators sent a letter to the White House urging the President to create a One Health platform and to help create a United Nation One Health platform. Next slide, Nikki. The Commission followed up with its own letter to the White House urging the same thing only we opened ours up to signatures from the One Health community and only circulated it for about two weeks. I still think I need to go and fix it for people could still sign onto that. And we actually kind of expanded on the idea and gave it some suggestions of what it could like and how it could work at the local, the state, the federal and the international levels for a One Health platform. Next slide, Nikki. As some of you may be aware that this year on March the 3rd that Senator Franken’s office actually put forward a One Health Bill to establish an interagency One Health program. This is a very infectious disease oriented bill and it needs a little language to help everybody understand that One Health is not just about infectious diseases. But I understand why they did it on the heels of Ebola, of trying to, you know, kind of ride a current of interest to bring awareness to One Health and some of the things that we needed to be doing policy wise on the One Health front. Next slide. And of course we just had One Health’s – it was our first inaugural One Health Day. It was a partnership team effort between the One Health Commission and One Health Initiative and the One Health platform with participation with so many participants around the world. And so you’ll notice this map that you saw earlier. That was when we had about 150 – we had about 150 events that we knew about around the world. In fact we know there are a lot more events that we even knew about that were being registered on the One Health Day website because we were seeing on the One Health Day Facebook and Twitter page events that people were talking about that we didn’t have registered. And right now we’ve got about another 20 or 25 to actually log in and enter. I encourage you to go to the One Health Day webpage. It’s under events on the Commission and actually look at some of the event descriptions that people were putting together all around the world. This has exceeded our wildest expectations and what you’re getting is a visual image of where this whole One Health concept has taken root around the world. Next slide, Nikki. So another relatively new initiative that the Commission is working on right now is starting to try to put in place a platform for taking One Health education K-12. You take it down to younger people because we feel that that’s where you really can institute change taking it to young people. So some of you might be interested, tomorrow we’re actually holding an online conference to discuss this. If any of you are interested in participating and helping us figure out just how to structure this platform because we hope to make it global in scope and to help us find ways to fund and establish a One Health Educational platform for K-12 and beyond for undergrads and grads and the professional schools. Next slide. This is not something that the Commission has taken a leadership part in but it is something I wanted to make everybody aware of just in case they aren’t. The Smithsonian Institute is right now as we speak creating a zoonosis and One Health exhibit. They’ve raised enough money for this exhibit not to just be housed in the museum for two to three years. It’s coming – it’s supposed to be opening in 2018 but for the exhibit and its entire year parts of it to actually travel around the world. So just wanted to make you aware of that. Dan Lucey who’s on the Commission’s board for Georgetown University Medical Center actually went to the Smithsonian because he had been working in the Ebola epidemic, over –in boots on the ground over in Sierra and I forget the other country now. I forget the other country now. And And so he took this idea to the Smithsonian exhibit planning team and they got it in a big way. and they realized just how incredibly important this exhibit could be for educating the public about zoonotic diseases and One Health and just how much it could contribute to global security. Next slide. The Commission is also trying to participate in the Global Health Security Agenda’s nongovernmental organization consortium. If any of you are not aware the Global Health Security Agenda it was actually headed by the State Department here in the U.S. and we have set in practice a way for – to help countries evaluate their preparedness for medical crises, disease crises, disasters and to help them start putting into place what the structures and infrastructure that they need to be prepared. Next slide, Nikki. And like I mentioned before, we believe that One Health is a path to planetary health and global security but it’s also a path for us to attain the United Nations Sustainable Development Goals so if you look at all these goals and once you really understand this whole One Health concept you’ll realize that we can help accomplish this and that part of what we’re trying to do with our kind of changing and our One Health Education Platform to change our attitudes and our understanding of our place on earth and how we need to not be destroying our earth but we need to be protecting the animals and the environment for our own sustainability. Next slide, Nikki. So I had asked you to remember that this was a really important point to take away – that collaborations don’t just magically happen – they start with relationships and those don’t happen unless we have opportunities to share and have direct conversations so that’s one of the things we’re trying to do in the One Health movement is to give us those opportunities and make us aware of the areas of our intersections so that we can work together on – to address some of our most wicked problems. No one profession, no one country, no one region, no one organization can have all the answers. We’re going to have to face all of our problems such as antimicrobial resistance and climate change. We’re going to have to do it working together. Next slide, Nikki. Just a reminder that this can be a pathway to planetary health and global security. And the final slide, Nikki. I hope that some of what we’ve said today will give you food for thought. I would love to hear from any of you if there are any of you on this call that are not familiar with One Health, if you’re learning about it, if it resonates with you and you’d like to learn more or get more involved, then we’d be very, very happy to have a conversation with you. My email address I should have put it on this slide, it’s all over the One Health Commission website under Leadership, cstroud@onehealthcommission.org. Let us hear from you. We’d love to especially from some of the human clinicians and some of the newcomers to the One Health conversation we would love to help you find a way to get involved and help us accomplish this. So that’s it for me for right now, Nikki. Nikki Grimsley: Thank you so much, Dr. Stroud. We will now open the lines for the question and answer session. As a reminder, you may press Star 1 on the phone to put yourself in the queue for questions. Please state your name and then ask your question or you may submit questions to the webinar system by selecting the Q&A tab at the top of the webinar screen and typing in your question there. For our first question, Dr. Stroud, you mentioned the webinar that lasted about ten hours. Can you talk more about some of the key players there and what were some of the highlights and takeaways? Cheryl Stroud: Sure. So I’m glad I’m sitting at my computer so I can actually call it up and tell you some of the speakers that we had in that first one. The takeaway is we were just starting to learn who all was doing what. So we had in that call speakers from Africa, from Uganda. We had Gladys Kalima speaking about her conservation, public health through conversation work, somebody from Brazil talking about their efforts in Brazil to advance the One Health concept. We had Karen Arturssen from One Health Sweden and we had Dr. Laura Kahn who I mentioned earlier. She’s from the – part of the One Health Initiative Team. She was talking about their efforts and One Health Initiative’s website. We had small animal – the small companion animal veterinary – excuse me just a minute – the World Small Animal Veterinary Association and Michael Day talking about the One Health Committee of that organization. Bonnie Buntaine from up in Canada at that time talking about transdisciplinary approaches to One Health up in Canada. We had Katinka De Balogh from the FAO, OIE and I’m basically just reading down the list of things that you can go see on your own computer on the One Health Commission website on the first international Who’s Who in One Health. And so those recordings are there if you’d like to listen and the same thing for the one that we’ve just gotten a second International Who’s Who that we just did on November 4. Nikki Grimsley: Okay, thank you so much. We have another question. The obstacles and barriers to collaboration in moving One Health forward are substantial and significant. What do you see as a reasonable early strategy to address them? Nikki Grimsley: Brad, do we have any questions on the phone? Coordinator: We’ve had no responses from the phones at this time, miss. Nikki Grimsley: Okay. It looks like we have another question through the Q&A system. Dr. Stroud, what do you want human and veterinary clinicians to do? Cheryl Stroud: You know that’s a really good question because I think it’s hard for practitioners especially — well both the human and the veterinary practitioners — to figure out just how when they’re standing in their exam rooms they can be aware and make this whole One Health conversation happen. I would urge you to in your communities look for ways to meet each other, create those relationships so get to know them down the road, you know, go and talk with your pediatrician if you’re a veterinarian. Open those relationships so that if you have cases or situations that you should be collaborating on or if you have a patient that you think that you could share information with that patient. If you’re a veterinarian you have an animal that’s got a situation and you think you could shed light for that human owner’s own doctor then don’t be intimidated to create those relationships and pick up the phone and call each other and talk to each other. That’s what we’ve lost the ability to do, is to be in touch with each other. So look for ways to do that. It’s not that hard to do once you kind of open your mind to realizing that you really need to open these conversations. In the exam rooms and you’re an emergency doc, then be sure that you’re asking the questions or that your intake patient questionnaires are asking if they have exposure to animals or what their occupations are and what their environmental risks are. I know some of us are already doing that but it’s – I’m pretty surprised at the number of places where, like, this young woman that I was telling you the story about, you know, they never really put it together. She had just been traveling and she was sick and they had not really kind of been able to put that together or maybe the radiologist didn’t know that she had been traveling and had had these other signs so just be sure that we’re setting up our systems so that we can enhance this whole One Health awareness and take action to make sure that those kind of questions are being asked and that those relationships are being formed. Nikki Grimsley: Thank you. Looks like we have time for one last question. Dr. Stroud, what do you think of the human animal bond as an early win in terms of bringing more decision makers and the general public into the One Health fold? Cheryl Stroud: I’m sorry, can you repeat the question? Nikki Grimsley: Sure. What do you think of the human animal bond as an “early win” in terms of bringing in more people or more decision makers and the general public into the One Health fold? Cheryl Stroud: I wish we could talk more about the human animal bond in the One Health conversation anyway. I think it would be a great win-win. That’s one of the action teams that I would love to stand up. There’s actually an organization, the Human Animal Bond Research Institute that is trying to bring awareness and bring forward research on the benefits of the human animal bond. There’s so many benefits other than seeing our animals as sentinels for disease but the mental benefits both the people and the animals. This whole idea of wellbeing is not getting enough attention. So the human animal bond is a huge part of this conversation and I think it would be a tremendous win-win. Whoever asked that question if you’d like to help me stand up an action team to start doing things to bring that to more awareness, then please give me a call or contact me. Nikki Grimsley: Dr. Stroud, thank you so much for your presentation today. On behalf of CDC’s Clinician Outreach and Communication Activity, I would also like to thank everyone for joining today. Free continuing education is available for this call. If you would like to receive continuing education, you should complete the online evaluation by December 16, 2016, using course code WC2286. For those who will view the archive webinar after December 16, complete the online evaluation between December 17, 2016, and November 16, 2018, using course code WD2286. All continuing education and contact hours for COCA conference calls are issued online through TCEOnline CDC’s Training and Continuing Education Online system at www2a.cdc.gov/tceoline. Again that’s www2a.cdc.gov/tceonline. To receive information on upcoming COCA calls, subscribe to COCA by sending an email to COCA@cdc.gov and write subscribe in the subject line. Today’s webinar will be archived on the COCA call webpage and available next week. The call audio webinar and transcript will also be available. 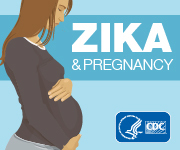 Please visit COCA’s website at emergency.cdc.gov/coca/calls for materials from today’s call. Please join us for our next COCA call Assessment and Evidence- based Treatments for Opioid Use Disorder on Tuesday, November 29 at 2 p. Eastern time. Also CDC has launched a Facebook page for clinicians. Please like our page at facebook.com/cdcclinicianoutreachandcommunicationactivity to receive COCA updates. Thank you again for being part of today’s webinar. We hope everyone has a nice day.